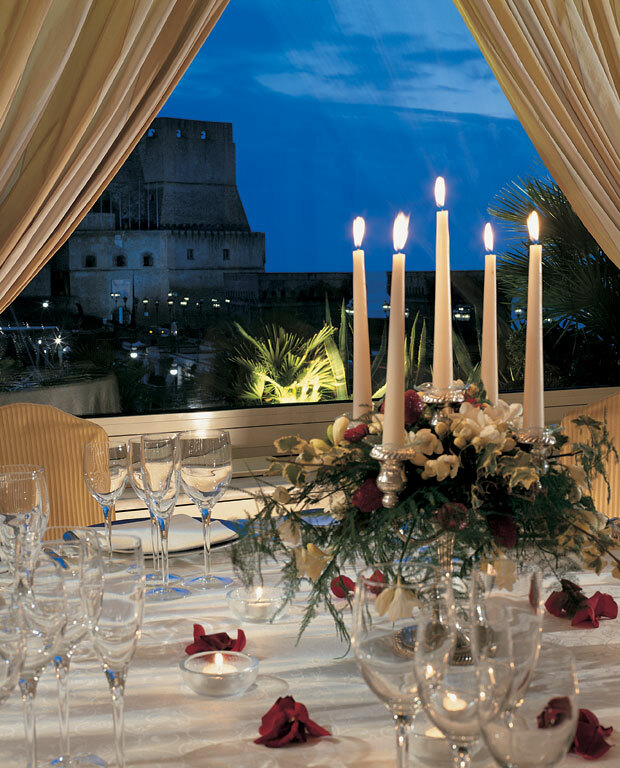 To hold your reception at the Grand Hotel Vesuvio is a true choice of class. Suggestive panoramic banqueting rooms offer the possibility to host the most prestigious of events. The perfect organisation and the attention to detail render every event unique and exclusive. The highest of service standards, the elegance of the crystal, silver, porcelain and linen, the artistic realisation of monumental pastry and impeccable service are all factors that guarantee our success.